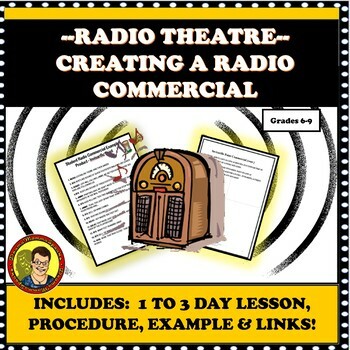 This radio theatre lesson focuses on creating radio commercials by studying vintage ones. Using cooperative learning with peers, the lesson strengthens reading, writing, listening, speaking skills and balanced literacy. 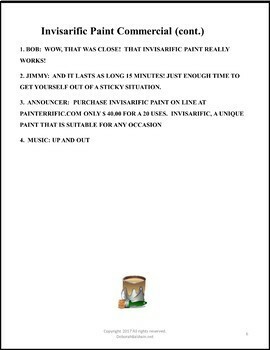 This a great emergency lesson or one for a substitute! 3 Vintage Radio Commercial Links--Live and Ready to Use! 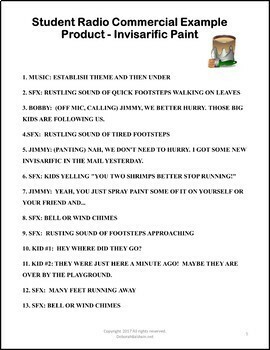 This lesson could be used as a stand alone or part of a listening, writing, reading or speaking unit as well. A remedial reading class could have great success with this lesson. In my thirty-eight years of teaching drama, this radio theatre unit is one of my most popular lessons with students. "This is a great very well written resource and very good for text comprehension! Thank you!" "Love this activity! What a great way for students to work together!"